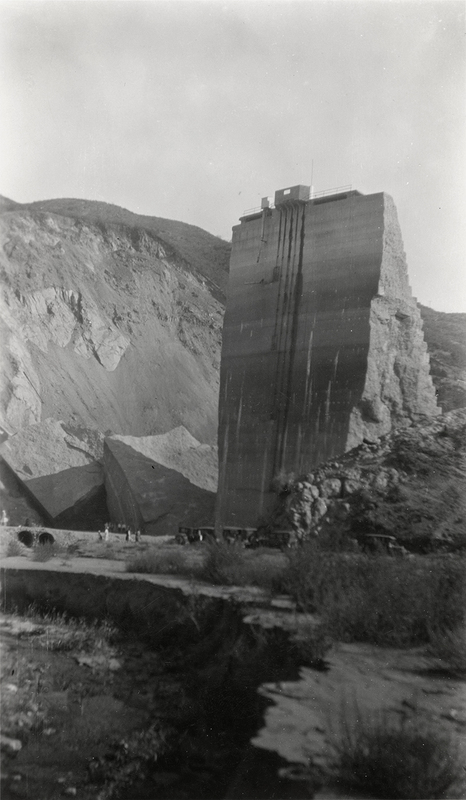 SaintFrancisDam.com HB2803 | St. Francis Dam Disaster | Visiting the 'Tombstone,' Reservoir Side, ~1928. 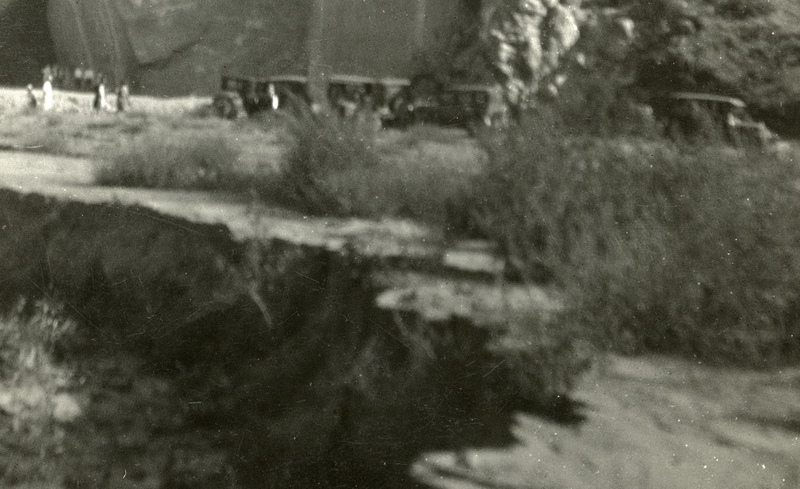 Tourists and their automobiles (detail below) are seen on the north side (reservoir side) of the "Tombstone" — the center section of the St. Francis Dam that remained standing after the dam failed on March 12-13, 1928. BW print, 3¼x5½ inches. One of two photographs loaned by Holly Nemback of Idaho (formerly of Valencia), 2018. A second group of people is inspecting another section of the broken dam in the background. This photograph was made with a different camera from the one used to make this photograph which features an ancestor of Holly's husband, Steve Nemback. It was probably also made at a different (later) time. Note the vegetation growing inside the empty reservoir. The photograph was made no later than April 1929, when the Tombstone was dynamited. HB2803: 9600 dpi jpeg and archival tiff from original print courtesy of Holly Nemback. Online only.